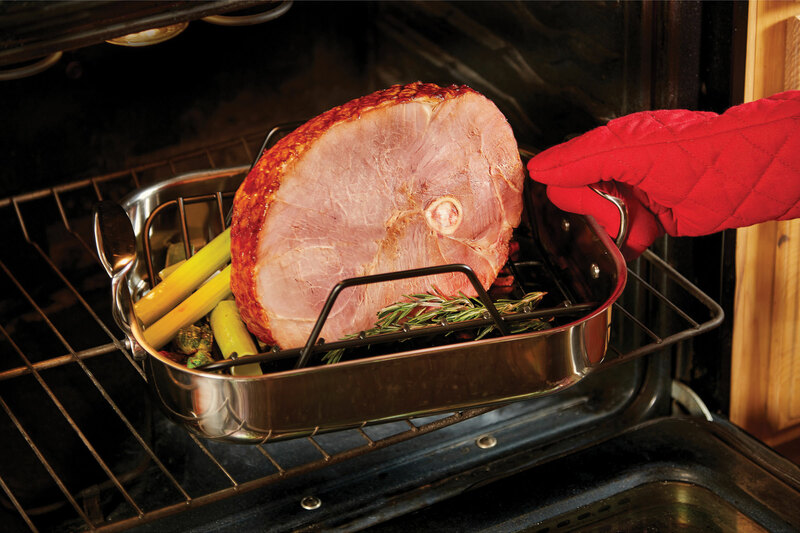 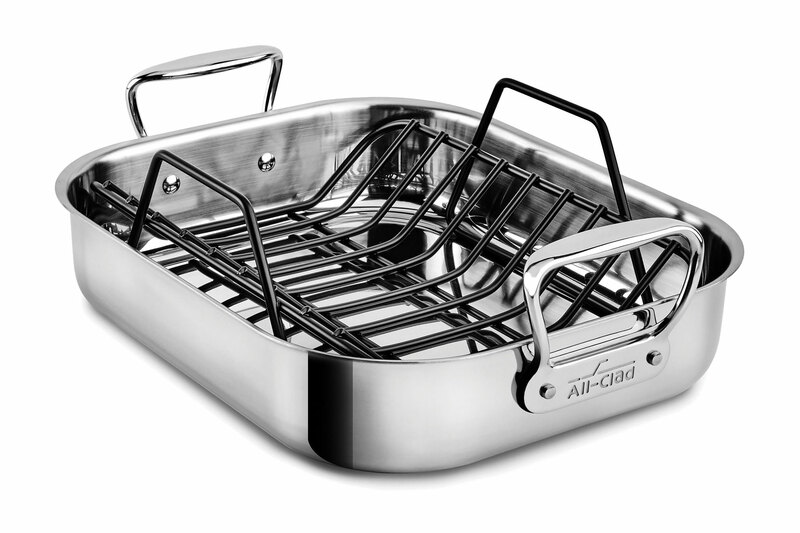 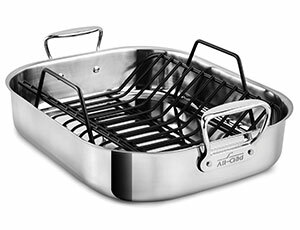 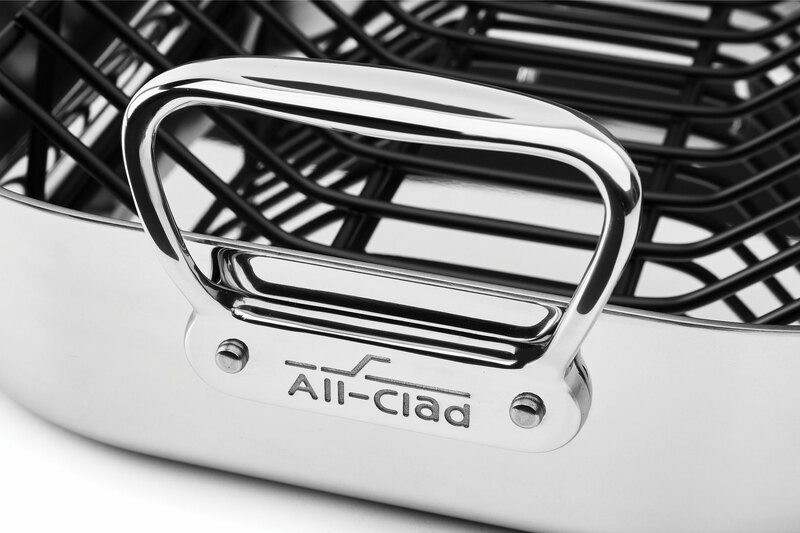 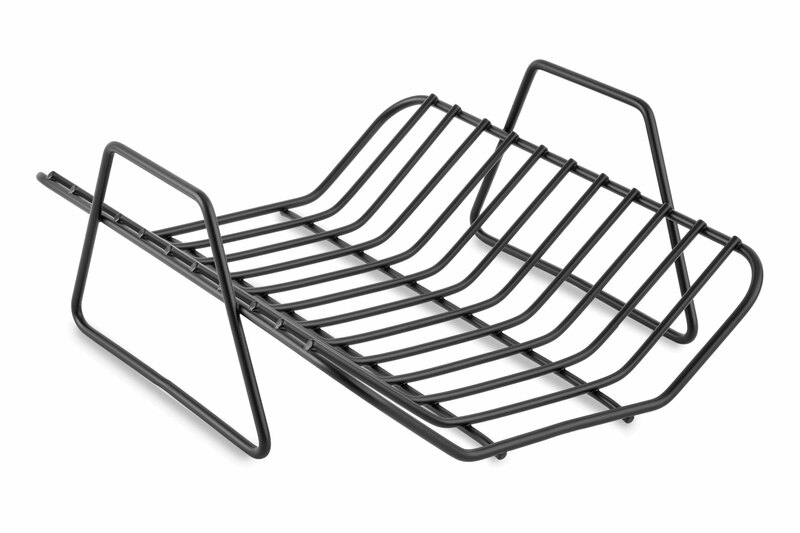 The All-Clad Stainless Roasting Pan with Rack is able to roast meat, poultry, and vegetables to perfection. 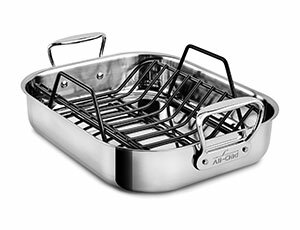 Holding up to a 15-lb. 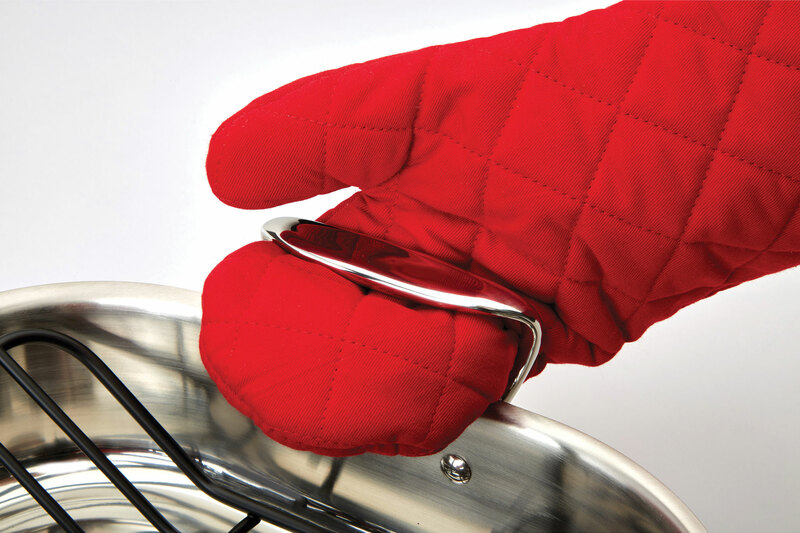 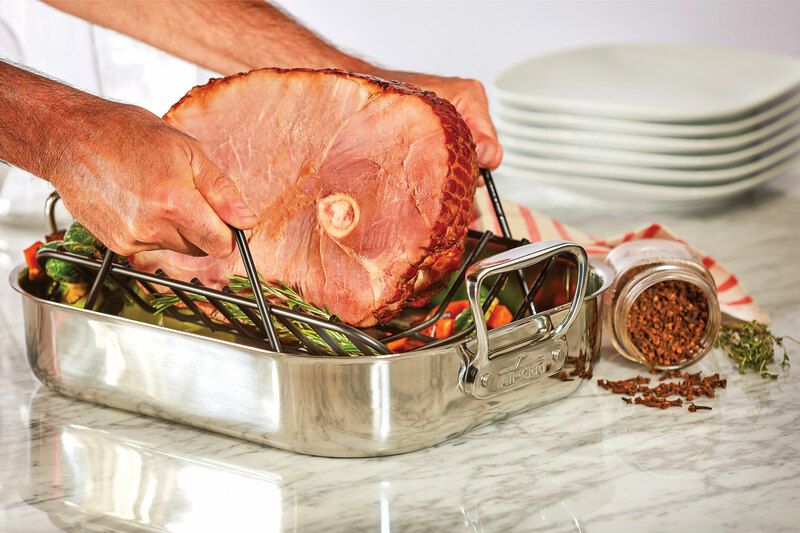 turkey, this heavy-duty stainless steel roasting pan features tall, straight sides, which help prevent splatters and spills, while its upright handles ensure a secure hold when transporting the pan to and from the oven, even when wearing thick oven mitts. 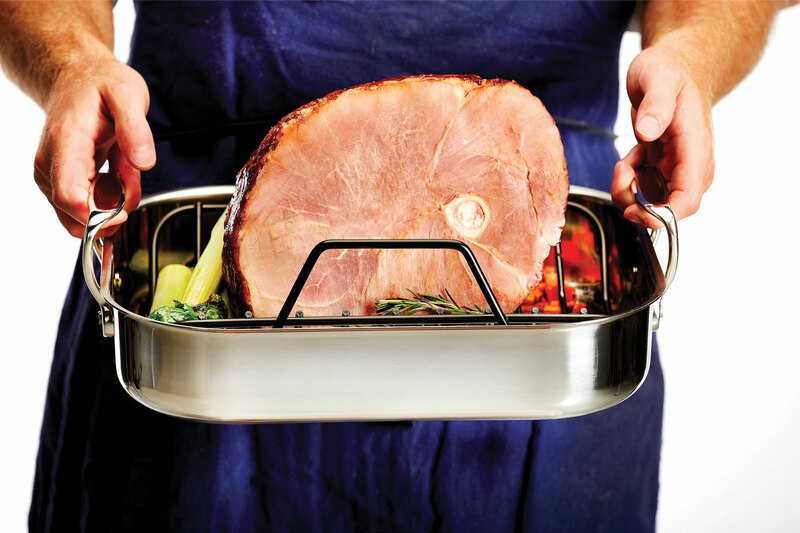 The roaster comes with a V-shaped nonstick roasting rack that elevates large cuts of meat to promote even heating, plus makes it easy to collect natural juices from the base of the pan for basting, glazing, or making gravy. 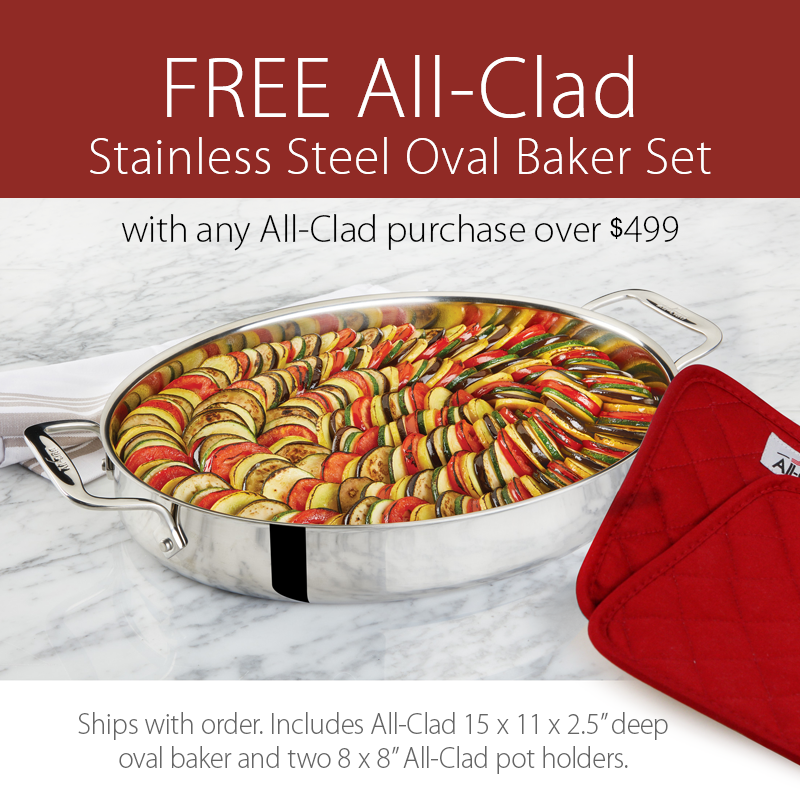 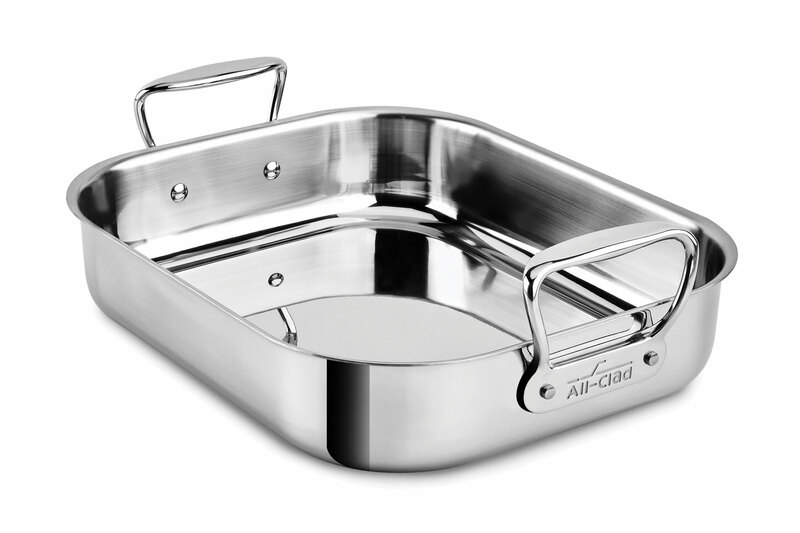 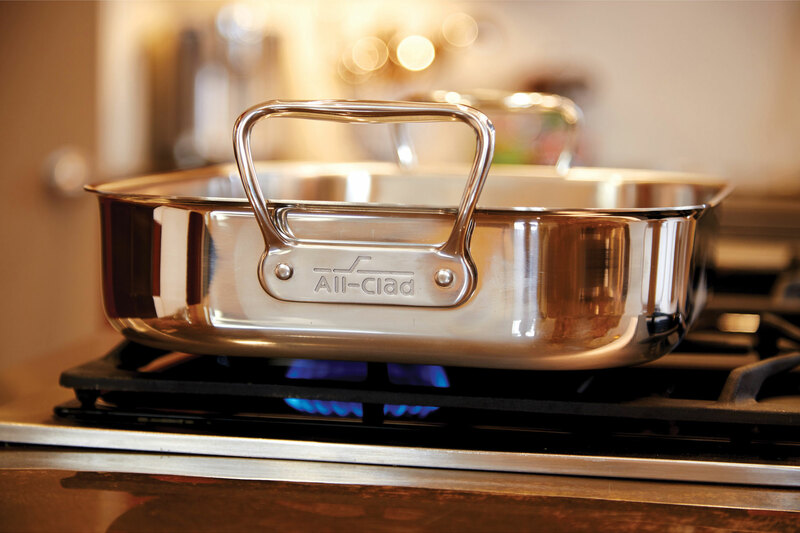 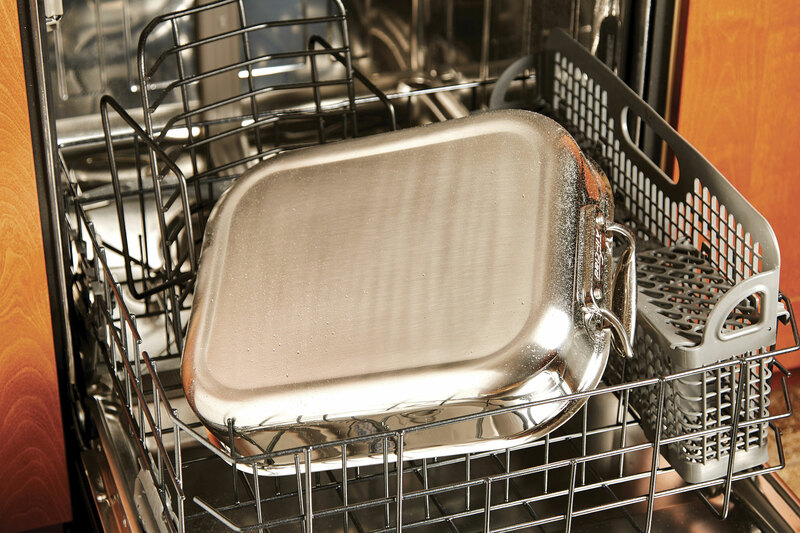 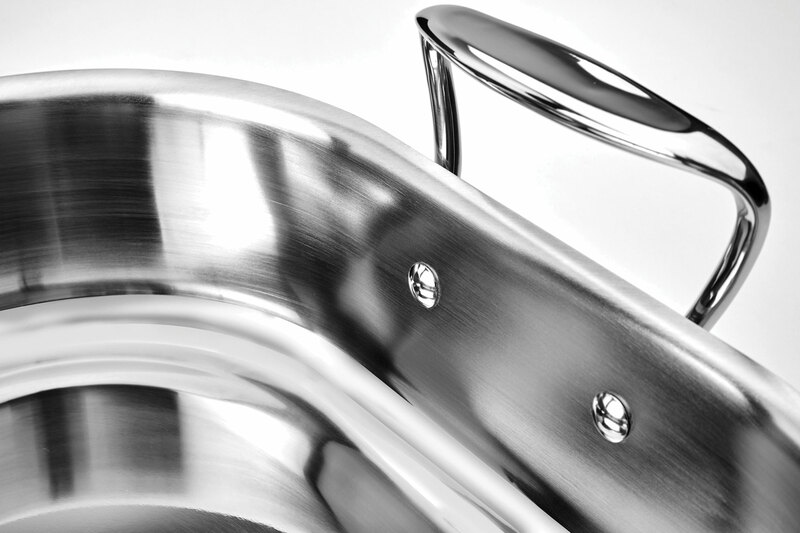 Combining high-quality craftsmanship and long-lasting performance, this All-Clad Stainless Roasting Pan offers a sleek polished exterior, warp-resistant strength, compatibility with all stovetops except induction, and dishwasher safe cleanup, perfect for everyday cooking and holiday entertaining alike.